In all cases described below, all names and some other details have been changed to protect people’s identities. 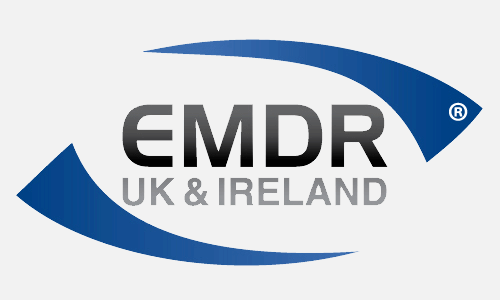 EMDR was the primary psychotherapeutic methodology used. Alan is in his mid forties. He was nearly killed when a lorry came too fast around a bend on a narrow road and forced his car into a hedge. The lorry’s bumper smashed into the windscreen directly in front of the driver’s seat. In a split-second reaction, Alan threw himself across into the passenger seat and avoided being crushed. Initially Alan thought he was fine. However, since then he has had frequent flashbacks of the accident. He has been unable to concentrate and his employer has put him on part time work as they say he is not working as effectively as he used to. He has felt a sense of heaviness and as if he is under a black cloud. Steve remembers himself as having been very innocent and unaware of what was happening as the older boy performed a sexual attack on him. He couldn’t believe what was happening and afterwards ran from the house in a very distressed state. Until recently, he had never dared tell anyone about what had happened to him. When Steve came to the first session, the images of the assault were still very vivid even though it was nearly 30 years later. The traumatic incident had exerted a huge influence on his life. He had always wondered why the older boy had chosen him, and worried that it was his fault and that somehow he had caused it to happen. He agonised over his inability to understand what was happening to him that day almost thirty years ago and why he had been unable to resist. He also worried that perhaps he would abuse children himself, although he knew that this had never happened and that he had no desire to do so. When work started with Steve, the memory of the sexual abuse incident was so tormenting that he was unable to work, he slept badly, was very depressed, withdrawn and could not relate well to his family and others. After 3 sessions of EMDR he felt a freedom he had not experienced since the sexual attack 28 years earlier. His wife and family saw a huge difference in him and he was able to return to work. Six months after the EMDR sessions, Steve was followed up to see how he was doing. He confirmed that the changes were still in place. Carol, in her mid-forties, is a chartered accountant. Four years ago she had had to stop practising her profession because of excessive mood swings over which she had no control. She is divorced and has had two other unsatisfactory relationships. Carol remembers that as far back as she can remember her mother suffered from mental illness and was frequently hospitalised. Carol was placed in children’s homes as her father was unreliable and unable to look after her properly. Carol is on medication, under the care of her GP and a psychiatrist, both of whom she finds very supportive. It was the psychiatrist’s view that she might benefit from EMDR. When I first met Carol, she told me how she had been making great efforts to appear able to cope with life in front of her adult children and her grandchildren. Nevertheless, she had found herself spending as much time as possible on her own. She had gradually gained too much weight and found life difficult to endure. She had always felt worthless, unlovable, insecure, ugly, isolated and rejected. Her concentration was poor so that reading a book through to the end was beyond her. After three sessions of therapy which included EMDR, she reported that she is no longer waking up thinking about the past and her child hood. She has joined a reading group and is now able to enjoy reading books. She is actively thinking about going to Italy on her own, something she would never have been able to do before. She is trying to improve her eating habits and is beginning to think about how to restart her career. We anticipate therapy will continue for some sessions as she would now like to work on other issues, such as her very upsetting divorce and how she feels about herself. When she was nineteen, she had experienced serious sexual assault from a partner. She had had to be hospitalised and almost died from loss of blood. Tricia was fortunate in that she had a large support system, including a family who visited and cared for her. Although she had received psychiatric help, various mainstream therapies and drugs, when we met, her symptoms of PTSD were getting worse. A new very intrusive symptom had appeared – she ‘saw blood’ in every red-coloured object, and she had taken several overdoses to end her life. Nothing seemed to help and life had become intolerable. EMDR had not been tried with Tricia, but after two sessions with this treatment, things had changed dramatically. She looked a different woman – more responsive, smiling and well dressed. She reported that she felt like a new person. She is now taking two walks a day around her neighbourhood, is able to go into town using public transport, and is no longer startled at noises. ‘Red’ is now just a colour rather than blood.